Chandler Knott is currently a full-time Research Specialist at the Neurodevelopmental Disorders Lab. She has graduated the University of South Carolina with a B.S. in Experimental Psychology and a minor in Counselor Education. Her interest in neurodevelopment disorders stems from her experience working with children with Autism Spectrum Disorder in educational as well as in therapeutic settings. 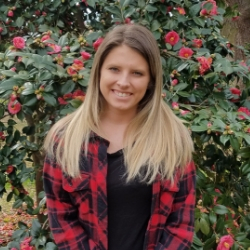 In addition to her research interests of early detection and intervention of Autism Spectrum Disorder and identifying early indicators of anxiety in high-risk infant populations, Chandler is a Registered Behavior Technician and is passionate about implementing evidence based intervention programs. Chandler plans to attend graduate school to pursue a Ph.D. in Clinical or School Psychology. Ramsey Coyle is currently a full-time Research Specialist at the Neurodevelopmental Disorders Lab. She has graduated the University of South Carolina with a B.S. in Biological Sciences and a minor in Psychology. She is passionate about early detection and intervention for children with Autism Spectrum Disorders and other developmental disorders. Toward that end, she is interested in studying early behavioral markers of ADHD in children with ASD and FXS, and she is a Registered Behavioral Technician trained to implement ABA therapy. Ramsey has plans to pursue a Master’s degree in Speech and Language Pathology in order to continue her training to help children with special needs. Kayla Smith graduated from the University of South Carolina in May 2016 with a B.S. in Biological Sciences and minors in Psychology and Chemistry. 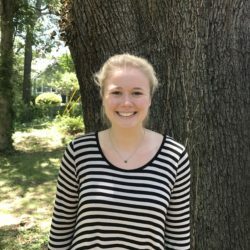 She became interested in neurodevelopmental disorders through her volunteer work at the lab and at the Palmetto Health Baptist emergency room as an undergraduate. Kayla plans to attend graduate school to pursue a Ph.D. in Developmental or Experimental Psychology. Kayla Jarvis graduated with a B.S. in Exercise Science and a minor in Psychology from the University of South Carolina in May of 2018. Her interest in children with neurological developmental disorders came from working as a Registered Behavior Technician in an ABA clinic after graduation. She also learned from this experience that she loves teaching kids how to communicate. Kayla plans to pursue a career in Speech Pathology and continue working with children who have special needs in the future. Nichole Mayberry is currently a full-time Research Specialist at the Neurodevelopmental Disorders Lab. She graduated with a B.A. in Political Science from Arizona State University. She has over three years of experience working with non-profit organizations, where she developed an interest in early childhood development and education. Libby Tillman is currently a part-time Research Specialist at the Neurodevelopmental Disorders Lab. She will graduate from the University of South Carolina with a B.A. in Psychology and a minor in General Education in December 2019. Her passion for neurodevelopmental disorders stems from her work as an ABA Line Therapist at Palmetto Autism Interventions. 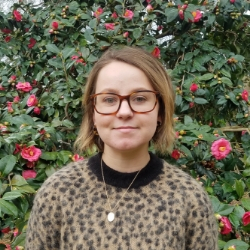 Currently, Libby is working on the assessment and data collection team as a second assessor. Additionally, she does work at the lab with heart rate data in order to study emergence and stability of autism in Fragile X Syndrome. Libby plans to attend graduate school to pursue a Master’s degree in Applied Behavior Analysis and later a PhD in Developmental Psychology. 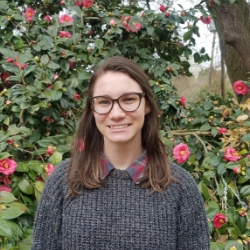 Carly Moser is currently a student in the Ph.D. program in Communication Sciences and Disorders at the USC Arnold School of Public Health under the direction of Dr. Jessie Klusek. 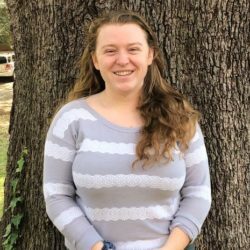 Alexis Brewe is currently a Ph.D. student in the Clinical Psychology program at the University of Alabama. Aylin Ulker is currently working at the Myer Center for Special Children in Greenville, SC. Lisa Rague is currently a Ph.D. student in the Clinical Psychology Program at Purdue University. 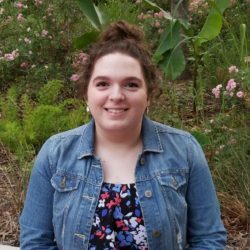 Emily Schworer is currently attending Colorado State University, pursuing a Ph.D. in Applied Developental Science.